Tabea Reulecke (Diploma 2006, MA stud.) und Sina Emrich (Diploma 2007) will be showing their work in the exhibition « Guck ins Schmuckloch, Schmuck im Guckloch » together with Katharina Moch, Lisa Juen and Elena Ruebel. 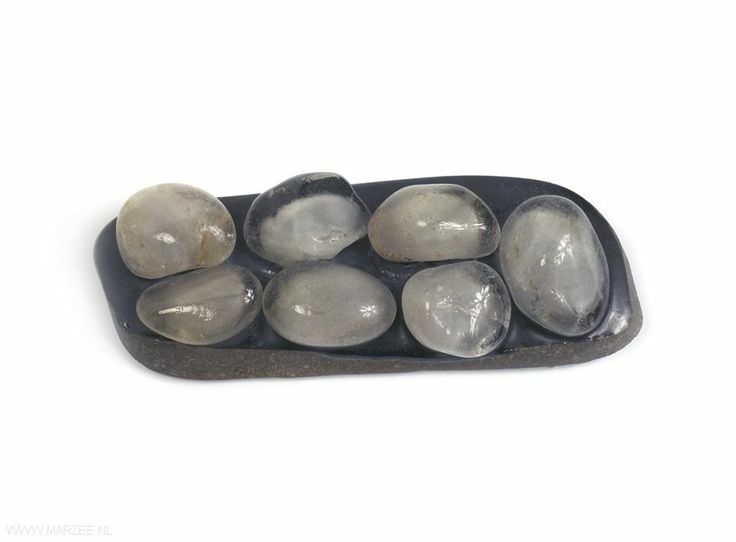 Eva Slotta – ‘berlin clouds #1′ – Brooch, Unique item 2011 – Agate, Synthetic Amethyst, Silver – Idar-Oberstein. 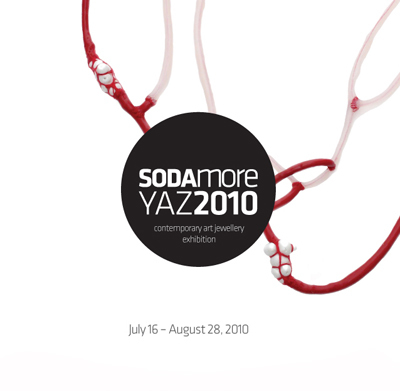 SODAmore Summer 2010: Contemporary Art Jewellery Exhibition consists of an extra-ordinary collection of approximately 60 pieces made of various materials such as glass, metal, silicon, plexiglas, wood, acrylic, plastic and ceramic. The works of the internationally acclaimed artists Nevin Arığ, Jahyun Rita Baek, Ela Bauer, Ela Cindoruk, Sina Emrich, Doerthe Fuchs, Peter Hoogeboom, Ted Noten, Anat Sapir and Barbara Stutman present pieces that push the limits of imagination; ceramic teeth aligned on the wrist, vein-like necklaces placed upon the heart and intriguing pendants such as a fly and diamond frozen in acrylic, all gather in Istanbul for the first time. The exhibition presents an extensive selection of Contemporary Art Jewellery, which is an internationally rising trend offering art hung not on walls but on the skin. Born in 1961, Nevin Arığ, graduated from Graphic Design, Fine Arts Academy in Istanbul. 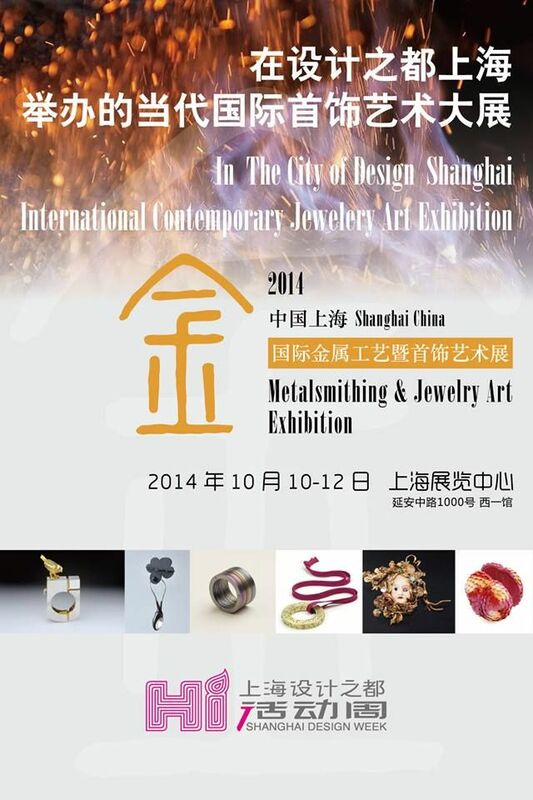 Between the years 1995-1998 she studied Contemporary Jewellery at Institut des Arts et Métiers in Brussels. She continued her studies in Silversmithing at IKA, Mechelen and for three years studied Fine Jewellery at Institut des Arts et Métiera. 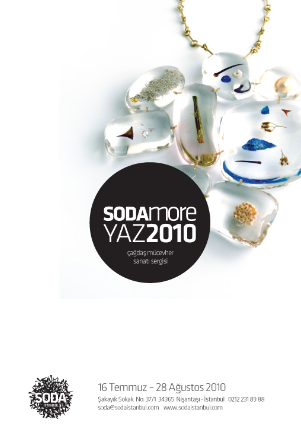 Arığ attended several international exhibitions and was chosen for the “Shoonhaven Silver Award” in 2009. Jahyun Rita Baek is a Korean artist, based in London. She graduated from Rhode Island School of Design in the U.S.A. after which she did her MA at the Royal College of Art in the U.K. She has attended several exhibitions in cities such as New York, London, Hamburg and Florence and has received the Craftmanship and Design Award Gold prize in 2008. After studying literature and then jewellery design in Jerusalem, Ela Bauer, went to the Rietveld Academy in Amsterdam in 1995. Bauer took master classes at the European Ceramic Centre with Daniel Kruger and Den Bosch. Since 1993 she has participated in several exhibitions at countries such as Japan, Holland, U.S.A., Germany, Italy, Portugal. She also attended significant fairs such as SOFA New York and her works are included in the Museum of Art & Design MAD (New York), Pinakothek der Moderne, Danner Collection (München), Grassi Museum (Leipzig), Textile Museum (Tilburg) and Hiko Mizuno Collection (Tokyo). Born in 1963, Ankara, Turkey, lives and works in Istanbul. Having received a Bachelor of Arts Industrial Design degree at Middle East Technical University, she later studied Jewellery and Metals at Parsons’ School of Design in New York. Ela Cindoruk is current partner of ‘elacindoruknazanpak’ jewelry studio and gallery in Istanbul, which she co-founded in 1993. Alongside her work as a jewellery maker, she has designed products and lecturing at Istanbul Bilgi University and Istanbul Technical University. 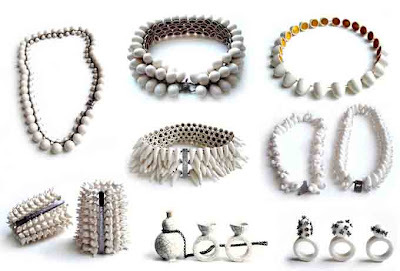 As a jewellery maker and designer Ela Cindoruk, participates both national and international exhibitions and her work is showcased at galleries throughout the world. Exhibition highlights include “Turkish Delight” Exhibition in Pergamon Museum in 2008 Berlin, the V & V Gallery “orna-mental” Exhibition in 2007 Vienna, Wallpaper* GlobalEdit06 in Milan, participated fashion shows/exhibitions “Garde-robes” and “Gooood Food” both at the Saint-Etienne International Design Biennial 2006. Sina Emrich was born in Frankfurt/Main in Germany in the year 1977. 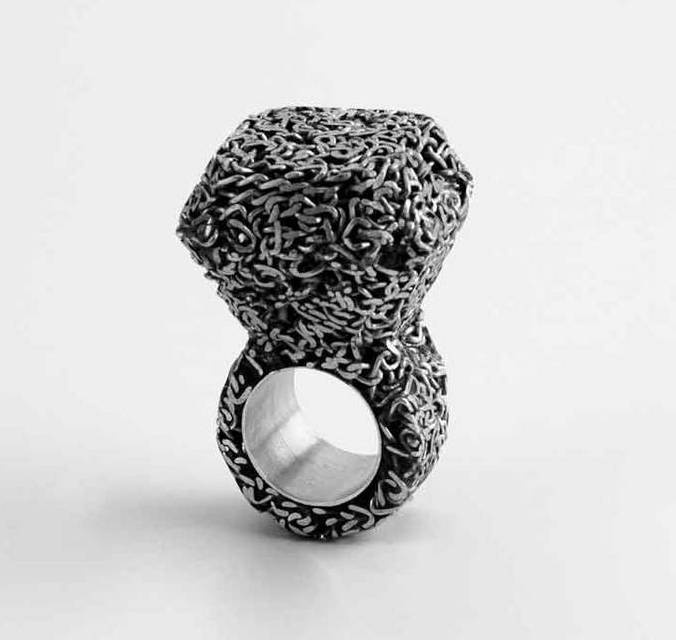 She graduated from the School for Goldsmiths and Watchmakers, Pforzheim in 2001. She continued her studies in Germany and the UK. Since 2008 she is working on the project “Schmucknomadin/Jewellery Nomad-weltlernen/worldlearning”. She has attended several international exhibitions and received awards such as the Honorable Mention at the 6th Chenongşu, International Craft Competition in 2009 and First Prize at the “Ambertrip Art Jewellery Contest” in 2008. Doerthe Fuchs was born in Tübingen, Germany. In 1986 she graduated from the Painting Academy and specialized in Goldsmiths. She continued her studies in Munich till 1986. Between the years 2002 and 2004 she studied Art Therapy. Since 1989 she works in her own studio in Munich. 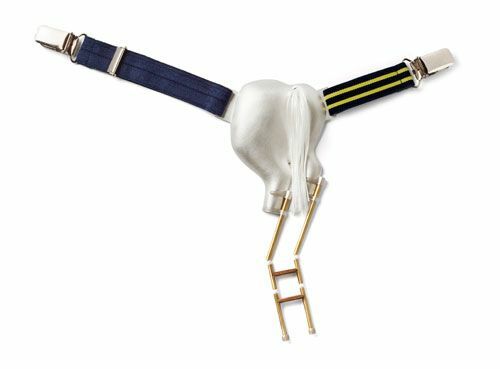 Dutch designer Peter Hoogeboom, graduated from the Gerrit Rietveld Academy in 1992. Since 1989 he has had several exhibitions in European and Asian countries, also in Australia and New Zealand, in the U.S.A. and Canada. He has had publications in many magazines and books over the years. His work is included in private and public collections such as Museum of Ceramic Art Het Princessehof (Leeuwarden) and Museum of Modern Art (Amhem). 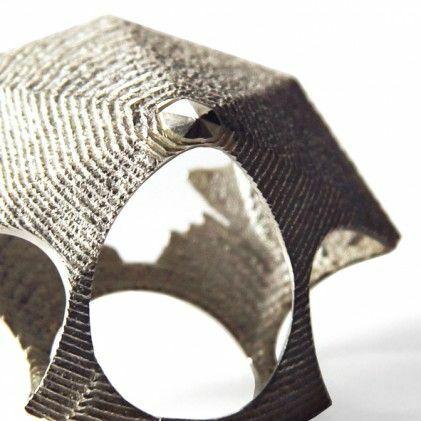 After graduating from the Rietveld Academy in 1990, Ted Noten began producing his first pieces of contemporary jewellery. From 2001 onwards he attended several solo and group exhibitions and has work in numerous private collections. Apart from his group exhibitions in Tokyo at the Museum of Contemporary Art and Collect Art Fair at London, he had solo exhibitions at the Stedelijk Museum at Amsterdam and SOFA New York. His designs are included in collections such as the Victoria and Albert Museum (London), Droog Design (Amsterdam), Museum Boijmans Van Beuningen (Roterdam) and Musée des Arts Decorative (Montreal). Ted Noten has received awards such as Harrie-Tillie and Françoise van den Bosch. Anat Sapir was born in 1961. In 1988 she graduated from the Bezalel Art and Design Academy. She continued her education on goldsmithing techniques at the Bezalel Academy of Art and Design Department of Jewelry and Fashion. 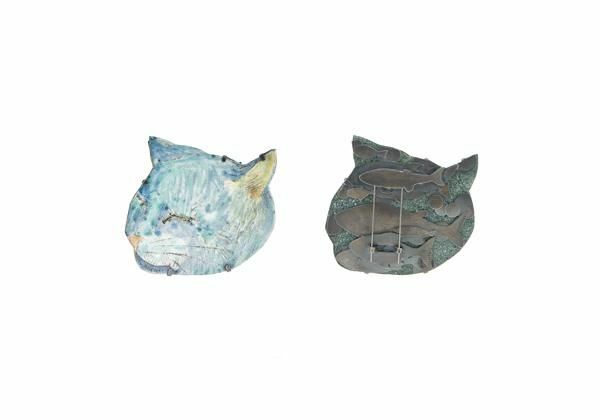 In 2000 she did pottery studies with Shulamit Miller. 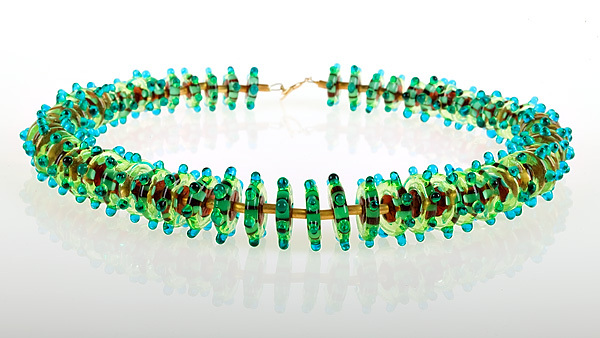 In 2005 she specialized in glass bead making at the Wertzberger Art College. Born in Montreal, Barbara Stutman studied Fine Arts and Art History at the Montreal Museum of Fine Arts, the Saidye Bronfman Center and Concordia University. Stutman’s jewellery has been exhibited in galleries and museums throughout Canada, the United States, Europe and Asia and has been written about in newspapers, professional journals, catalogues and books. 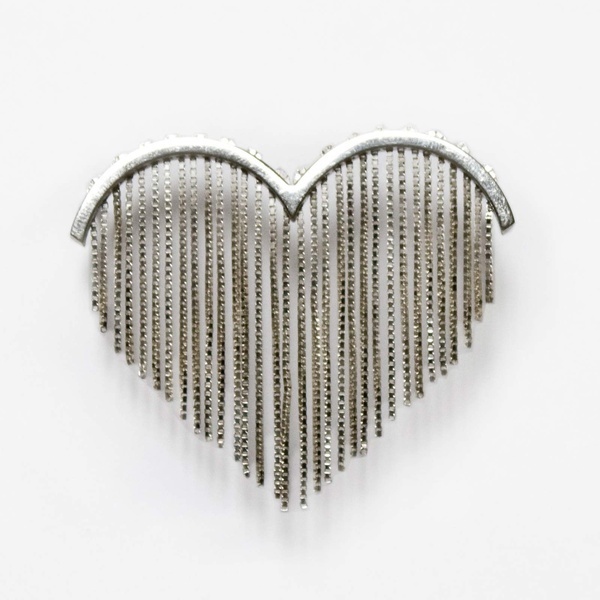 Her work is in the permanent collections of the Musée national des beaux-arts du Québec in Quebec City, the Montreal Museum of Fine Arts, the Koch Ring Collection in Switzerland and the Museum of Arts and Design in New York City.